Musings of a Bookish Kitty: Mouse's Corner: What Will Mouse Be For Halloween? Mouse's Corner: What Will Mouse Be For Halloween? Mouse and I have been reading her favorite Halloween book just about every day for the past couple weeks. Sometimes multiple times in one sitting. I have to say, it's my favorite too. I love the story and the writing. The artwork is fun and tells a story all its own. Room on the Broom by Julia Donaldson and Axel Scheffler (Puffin, 2003) is about a witch and her cat who are flying through the air on her broom. She keeps losing things, however. First her hat, then her bow and wand. Along the way she makes new friends, all of whom want to ride on her broom. Only, the weight proves to be too much for the broom. What happens next is both scary, funny and inspiring. It's such a cute story. I highly recommend it if you have a young one around to share it with! Or heck, even if it's just you. What are your favorite childhood Halloween reads? Mouse has been talking nonstop about Halloween since the beginning of August. At first she wanted to be a bumblebee like last year, but then decided she liked the idea of being a pirate. After reading a Halloween book about a girl who dressed up as a princess, it's been everything princess related for the last several weeks. Now that she's tried on a few costumes . . . Well, I guess we'll find out Halloween morning whether the pirate will win out over the princess. © 2013, Wendy Runyon of Musings of a Bookish Kitty. All Rights Reserved. If you're reading this on a site other than Musings of a Bookish Kitty or Wendy's feed, be aware that this post has been stolen and is used without permission. Mouse is lovely! She looks absolutely adorable in any costume - look at her pictures! Room on the Broom sounds like a nice read too. What a fun time for your little "mouse"...hey, how about a mouse costume:)? I like the Pirate! But I know little girls, and they do like their lace and tiaras. My daughter was so obsessed with the whole dress-up thing that she got the costumes (Disney princesses) for her birthday and Christmas, so we always had a selection on hand for Halloween. BTW once she grew out of them, I made a mint of selling those costumes on Ebay! Sandy - The pirate is my favorite too. :-) Right now she's leaning in that direction. We'll see if the costume survives her school party. If not, at least we have back up! No favorites… they are ALL adorable! My granddaughter has about three outfits as well and has enjoyed playing dress-up for the past three weeks. Molly - Mouse is looking forward to dressing up so much. I haven't let her play in them much yet, but I told her after Halloween, she can play in them to her heart's content. 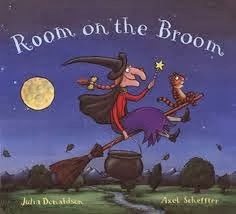 :) I read Room on the Broom to Bryce Eleanor this weekend. We both loved it! Princess costumes are great, and Mouse looks like a great princess, but I think the pirate costume is awesome! She looks adorable in all of them!! Kathy - I think so too! Always a favourite amongst children, I've yet to meet a child who didn't adore this book. My halloween reading this year consists of The Witch's Tears, a children's book by Jenny Nimmo. Loving the photos of mouse, especially the first one. I don't know why but I've always had a thing about fairy wands. Tracy - I'd never heard of the book before this year, can you believe it? I feel cheated! I'm glad we discovered it this year at least and now we can enjoy it for years to come. I'll have to look for The Witch's Tears. I like the first one :) Of course, she is adorable in them all. Mouse is adorable! I love the pirate costume, she looks terrific in it. I hope she wears it. But if the princess wins out, and little girls love tiaras and wands and long dresses, I think I like the first picture. I hope Mouse has a great Halloween! Amy - I have a feeling the pirate outfit will win out. She loves the princess dresses, but, after being so intent on being a princess for weeks, she wasn't so thrilled once they were on her. The pirate outfit gives her a little more room to play, I think. She makes a beautiful little princess but I'm really loving her pirate costume! How cute is she! Are you guys going trick or treating? We usually get lots of trick or treaters at our house and I love seeing all the costumes. So fun. Happy Halloween and hope Mouse has a fun time! Iliana - The pirate costume is my favorite too. :-) We did go trick or treating, which Mouse just loves doing. I spent most of the evening passing out candy while her dad took her around the neighborhood (then we switched off). We saw lots of Iron Men this year. I hope you had a nice Halloween too! The Witch's Tears sounds good too. I'm partial to the pirate costume probly cause it looks easier to move in. Have fun! We never get any kids at our place, too far out of town. Carla - I don't remember Room on a Broom before this year, so I am not sure your age has anything to do with it. :-) Although I do know many have loved it over the years. Makes me wonder where I was all this time! I hope you had a great Halloween too!